A cyclist aged 78 is in hospital with life-threatening injuries and a minibus driver has been arrested following a crash in Barnsley. The victim was riding along Pontefract Road, from Shafton towards Cudworth town centre, at just after 12.30pm yesterday when he was struck by a white Ford Tourneo transit minibus, travelling in the same direction and fitted with a full-length roof rack. 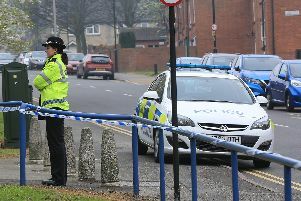 The cyclist, a man from Barnsley, was rushed to hospital where he remains in a serious condition. The driver, a 52-year-old man from Brierley, failed to stop and was later arrested on suspicion of causing serious injury by dangerous driving. Witnesses should call 101, quoting incident 508 of November 25.